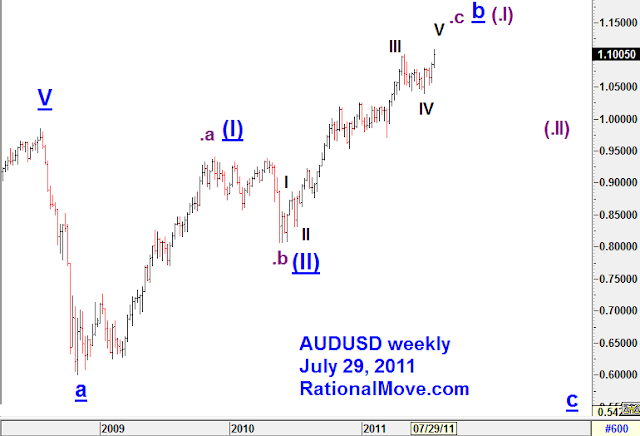 I entered AUDUSD long position on July 13. Unlike my usual habit, I hadn’t posted an article of the trade planning partly because I was busy outside the trading world, and partly because I had thought it was going to be another week before my entry order triggers. Now it’s been more than 2 weeks, and AUDUSD is in my favor both for the price action and the swap interest in this longer than usual holding. This week, Australia’s CPI rose more than the market anticipated, and it slightly increased the expectation to RBA’s interest hike. RBA’s interest decision will be announced on August 2. Meanwhile, US politics on debt ceiling stagnated, and the added uncertainty on dollar also seems to be positive on AUDUSD. The secondary scenario, showed with the label with parentheses, seems more attractive scenario as the long term outlook for USD only gets worse, and the fear for inflation increases. My average entry price is 1.0805. Currently my stop loss is set at 1.0815 (so the profit is guaranteed). I will probably book the profit at 3 or 1.1182, and think to re-enter the market at 4. This is the 2nd post today. For a while, I just wait and watch where EURUSD was heading. When I look back my past few posts on EURUSD, one week I was bullish and next week, I had to change my view. 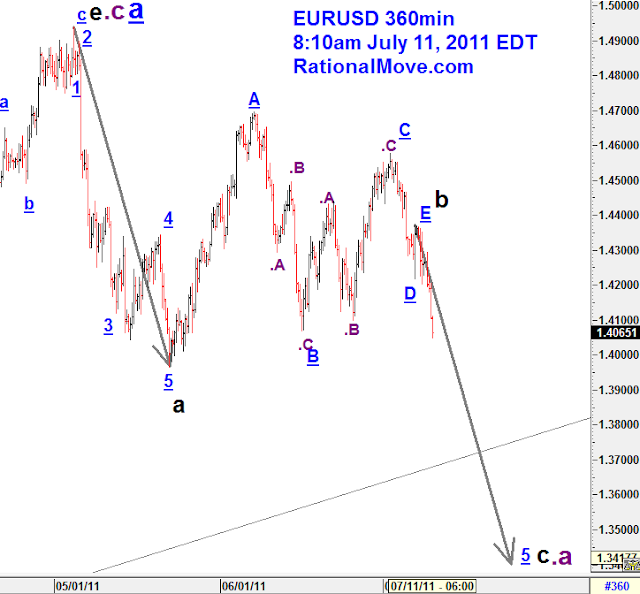 It’s telling EURUSD’s nervous situation. I made a quick call to sell EURUSD today, but I decided that the it is still premature, so I covered with 46 pips profit. 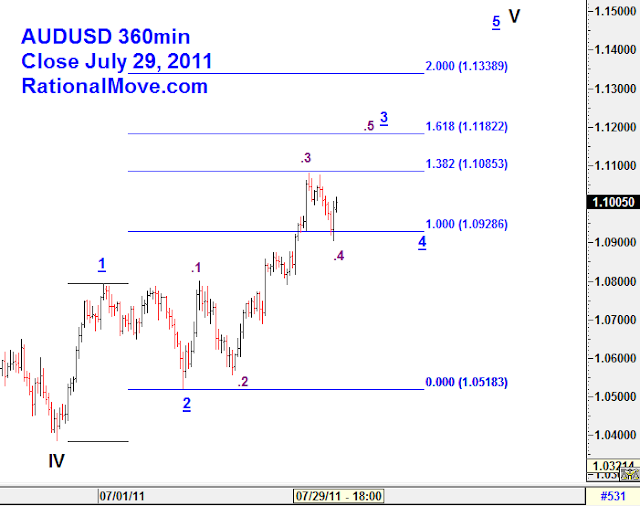 I think EURUSD is trying to complete wave 1 of c as in my previous post. 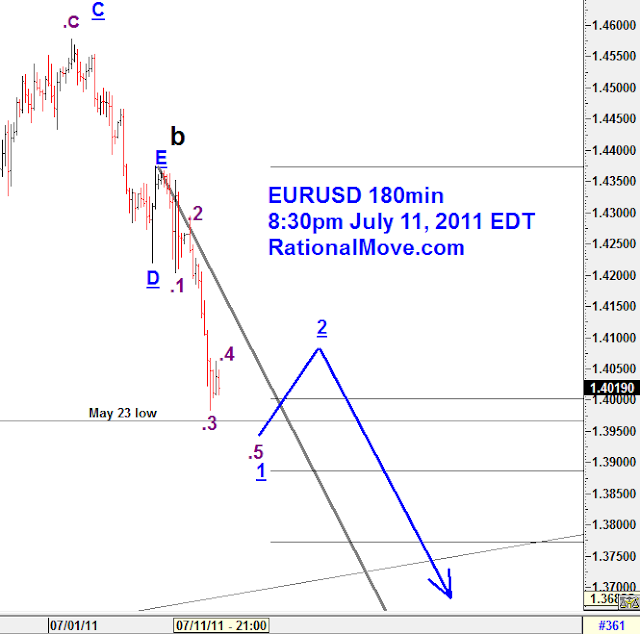 So, I will wait the rebound of 2 before deciding when to sell EURUSD again. Capital growth for Q2 was 0.58%. Made up the loss from Q1 by a little, and now YTD is -1.75%. So far, it looks like b wave finished as triangle wave, and the final impulse wave C of the zigzag .a emerged. 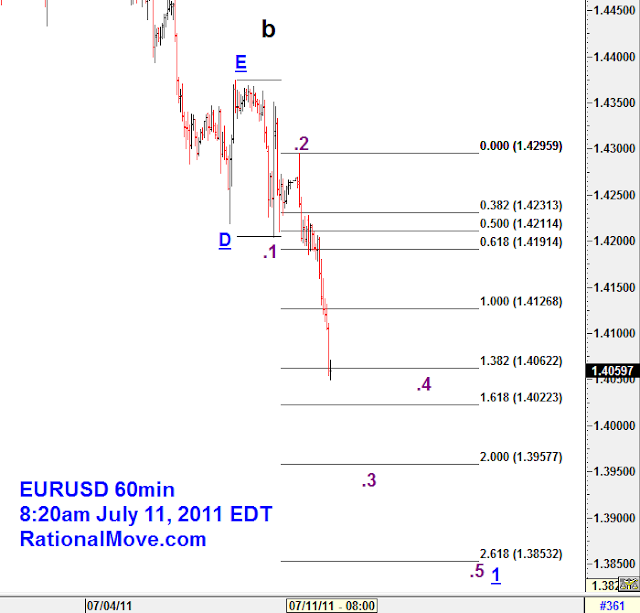 I sold EURUSD at 1.4058 with stop loss at 1.4380, risking 1.8% of my capital.